This Leather Horse Halter is made from fine high grade leather. It will provide maximum comfort for your horse. 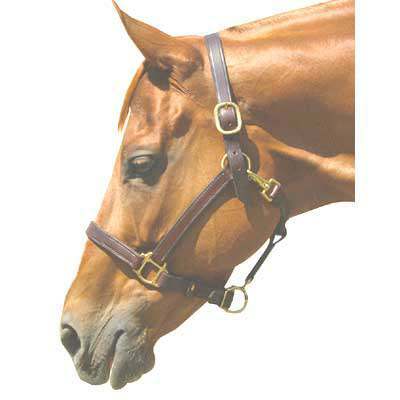 This beautiful Stable Halter is adorned with solid brass hardware, this 1" leather halter features a single crown. The item also has a flat throat snap and double stitching for greater durability. We only offer top quality horse tack items here at Horse Tack Now. Rest assured you will get a high quality horse halter for your horse.